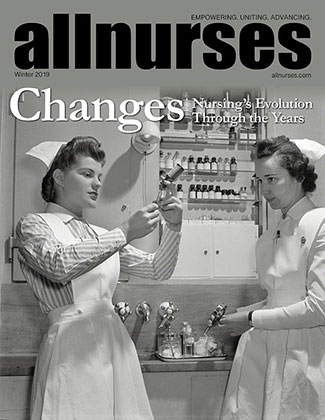 You are reading page 20 of CCRI February 2016 Nursing Applicants.... If you want to start from the beginning Go to First Page. Hi everyone. I am trying to get my info in... All I am missing on the health requirement sheets is the admission date. Does anyone know what the date is? I've tried calling the nursing department but no one has called me back. I'm in providence day. Isabelm1122 works as a Nursing Student. Hi I also applied in Feb 2016 and got in Warwick / Days. I registered in the first group (lecture tues & thurs 8-11:50 am). Good luck future nurses! .... and if anyone else is Warwick / days let me know!! Hoping to get information at the orientation this week on wednesday. I'm in Warwick days too. Orientation should be helpful I'm just impatient. See you there Abrown77! I'm impatient too. I want my books already and to start planning. I am the same way!! I am so excited to get going ! Hi! I am applying this month for the nursing program and can't decide between Providence or Warwick for first choice they r the same drive time for me ,I think k I may prefer Providence because clinicals will be closer for me,but I am concerned about parking there...Seems really small.. how are you liking it? Hi! Clinical assignments can be pretty much anywhere in the state! I think some groups even ended up in Attleboro! I'm in 1020 now & I go to Warwick campus, but I have clinicals in Providence this semester. I like the resources the Warwick campus offers, and most of the student nurse organization meetings / events are at Knight campus.